restaurants, shopping, and nightlife. Close to park and golf in the summer. Explore all that PC has to offer from this family or group friendly home. Four bedrooms:master has a queen along with a twin, and its own full bath with tub. The other two bedrooms upstairs share a bath, one room has a double bed and the other two twins. The fourth bedroom located downstairs has a double bed as well and uses the bathroom next to it. There is a large dining room table to eat on, as well as counter space with stools for a quick breakfast before hitting the slopes. Washer/dryer and fireplace as well. Restaurants, bars and shopping only steps away from the house offer entertainment for nighttime. Weber BBQ provided for your use as well. Large deck for sitting outside during the summer season. grocery shopping so stocked upon your arrival. Inquire for pricing for that. Concierge services available. - ask once have contact after booking. Live and work in PC, enjoy all PC has to offer, great place to live or visit! We were initially unaware of the downstairs tenants so heads up! It may be clear in the description but wasn’t to us before booking. That lead to some noise problems as we are a rowdy bunch and this is our annual guys trip meeting up from all over. So just know this in advance. But also know this: this place is as awesome as advertised. Right near the town lift. Right near down town. Right near everything! Upon booking, all of my questions were answered (and I captained this trip and had plenty!!). I would absolutely recommend this stay to anyone looking to ski in PCMR/Canyons or just looking for a really nice house in the general area. We did lots of cooking and relaxing in the hot tub and it was all there. We had a great experience at this home. Four of us stayed for four days. Lauren and the house were great. Look forward to coming back again. Wonderful to hear you all enjoyed your stay st the house and time in PC. Hope you return again! We stayed in park city over the 2017 new years and we had an amazing time at Lauren's property. Checking in/out was a breeze, and the house was a 5 minute (I timed it) walk to run that gets you to the base of town lift. We didn't bring a car and found ubering to/from SLC airport to be much more convenient, and even cheaper than scheduling a shuttle or renting a car. We have stayed at the Town Life house 3 times each for a month. 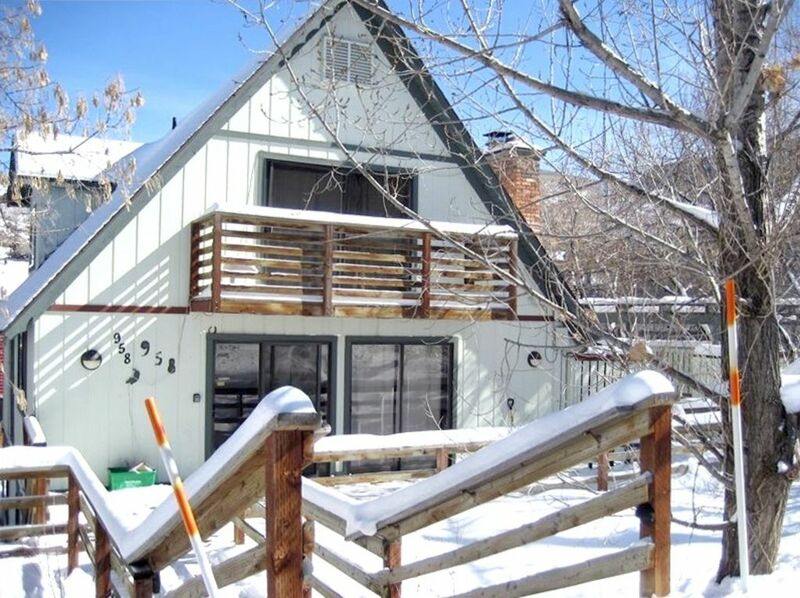 You Can't get a better location in Park City .We love being able to walk to town in 5 minutes and then be hiking on a trail also in 5 minutes in another direction.The kitchen is well equipped with a big dinning table for family dinners.We highly recommend the house. We love having you stay each summer! Thank you for watering the plants- much appreciated! This was the third time we have stayed in the Town Lift house, each time for a month. You can't get a better location in PC. We love being able to walk to Main Street or to a hiking trail in five minutes. (The latter might be over if they build the proposed resort on Sweeney's Hill.) The kitchen is well equipped and great for family dinners. We highly recommend the house. Glad your stay was good again this year. We enjoy having you stay at our home and appreciate you watering the new plants! Hope to see you again next year. I took my 18 year old son, two of his guy friends and an 18 year old girl to ski over Spring Break. The room situation was perfect! The girl stayed downstairs with her own bath. The two friends stayed upstairs in the room with two single beds. They shared a bath with my son who stayed in the room with a queen bed. I had the master bedroom with a queen bed and my two small dogs slept on a single bed in the room. We all agreed that the beds were terrific! We slept well and I was able to cook all the meals in the well appointed kitchen. The kids had a great time in the hot tub. They played Monopoly in the spacious living area and I enjoyed the grill for steaks and hamburgers. The location is great! The kids walked a short distance to the Town Lift. The bus stop is a stone's throw away as well. There isn't a yard for dogs, but I walked them often as an excuse to check out all the shops and restaurants in Old Town! I highly recommend this place for people who want to enjoy what Old Town Park City has to offer! Lauren, the owner, is especially nice to deal with! So glad to hear our house was perfect for your group. Sounds like you took advantage of the house amenities and close proximity to Msin St and ski access and the free bus. Keep us in mind for another trip to PC. Prices subject to change Dogs allowed with permission and deposit only If interested in month rental in the summer please contact owner.